QPR manager Mark Hughes revealed on Friday that they were awaiting guidance from the Premier League, who have confirmed it must go ahead. Chelsea defenders Terry and Cole are expected to be fit for Saturday's game, and they will take part in the handshake according to boss Roberto Di Matteo. Terry and Cole had been in a race against time to recover from ankle injuries for the west London derby at Loftus Road. But they have trained without incident for the past three days and are set for a reunion with Ferdinand. 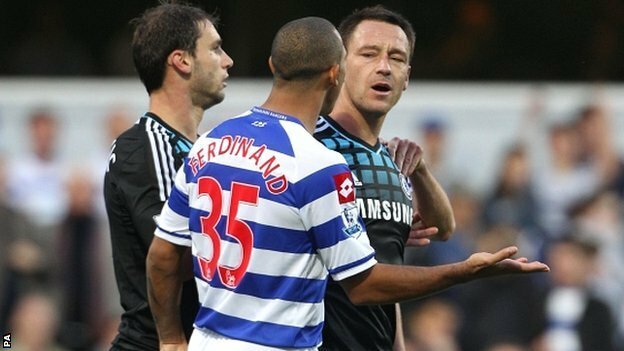 Ferdinand is reported to also be considering snubbing Ashley Cole after the Chelsea left-back testified as a character witness for Terry.